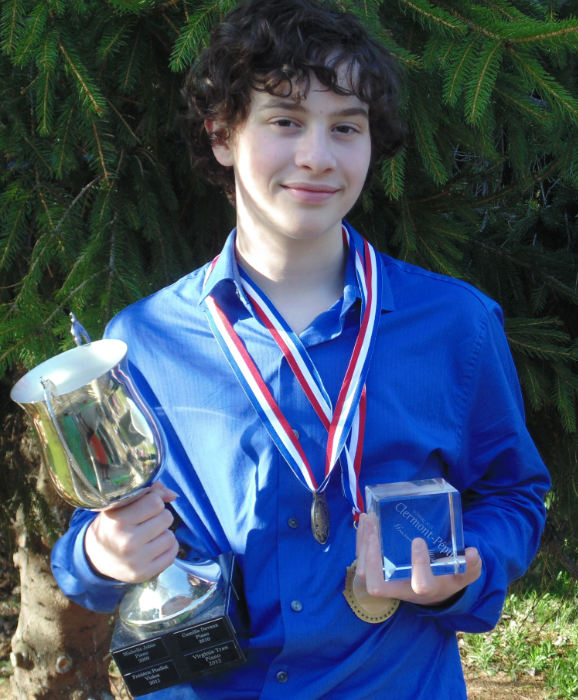 Congratulations to Jean-Victor Paris-Laflamme (13 years old) from Beauceville. This student of Daniel Langlois’ class won the first prize of two music contests. The finals of this contest were held Saturday, May 16th, at Collège Jésus-Marie of Sillery, Quebec City. 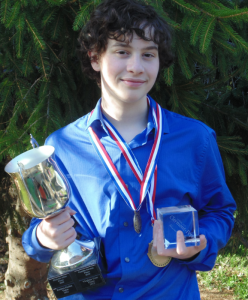 In the 9 to 13 years old instrumental category where five contestants compete, Jean-Victor obtained the first place with a note of 94%, and a 500,00$ scholarship. The comments of the judges (Linda Dumont – Singing, Francis Perron – Piano and Nicole Trottier – Violin) were eulogistic about Jean-Victor’s performance of Sept étoiles of Claude McKinnon. Jean-Victor obtained the third best note among 47 contestants to the finals. The finals were held Sunday, May 17th in Saint-Georges de Beauce. In the category Provinciale-classique (high school), Jean-Victor obtained the first place with a note of 92%, and a scholarship of 300,00$. The judges (Marie-Hélène Dubé – Piano and Maryse Violette – Violin) mentioned the excellent interpretation of Prélude no 1 of Heitor Villa-Lobos.